Cost to remodel a basement varies greatly by region (and even by zip code). Get free estimates from remodeling contractors in your city. Cost to remodel a basement varies greatly by region (and even by zip code). The cost of remodeling a basement is $55,000​. If you want to increase the amount of living space in your home, remodeling your basement makes a lot more sense than adding on a new addition. A finished basement has an ROI of around 70%, making it one of the better investments you can make in your home. A typical basement remodel costs around $90 a square foot, assuming moderate decor and finishes. With the average project size of 600 square feet, this puts the cost of the average basement remodel around $55,000. An unfinished basement isn’t a very usable space. At most, homeowners with unfinished basements may use the area for storage. Unfortunately, unless steps have been taken to waterproof the area, even storage can sometimes fail as belongings absorb the humidity and moisture of the basement. A remodeled basement gives you additional living space without changing the footprint 1 of your home. 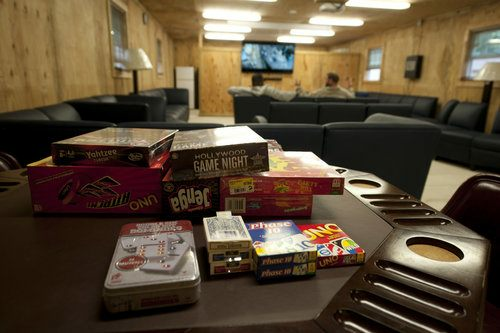 Basements can be remodeled to become in home theaters, children’s playrooms, entertainment areas, and family game rooms. Because the steps to finish the basement are similar for most of these purposes, you can gain a lot of additional space and use from your home simply by finishing this area. Before beginning on your basement remodel, you’ll need to keep several things in mind that will pertain to the space. Simply finishing the floors, walls, and ceilings of the basement can help increase the value of your home. But putting extra thought into what you want to use the space for now, will save you on fees later. For example, if you intend to use this as a children’s playroom, then building shelves into the walls, adding egress windows, and putting down carpeting can all be done at the time of the remodel, rather than added later. The size of your basement may impact what you plan on doing there. Measure the usable space carefully to determine whether or not you have the room for what you would like to do there. Basements are known for being damp. As part of the renovation, you will need to address this, either through sump pumps 2 ($550), French drains 3 ($1,000 - $1,500), vapor barriers 4 ($50), or other methods. Waterproofing your basement costs around $5,000 on average. Your basement will only be as sound as your current foundation. A remodel is the best time to deal with issues such as cracks or settling, before more invasive work is undertaken. If necessary, foundation repair costs between $5,000 and $7,000. Most cities and towns will require a permit for basement remodels. 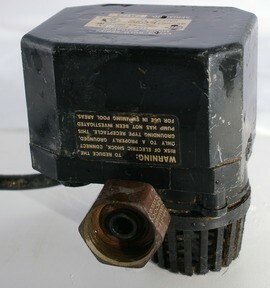 In addition, there are several codes that dictate what can be done in this area. For example, a basement must have a ceiling height of a minimum of 7-feet. If your basement has a ceiling height lower than this, it may not pass code if remodeled. In addition, plan the cost of the building permits, around $430 on average, into your budget. 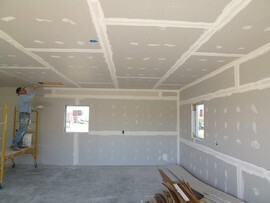 Simply putting up drywall 5 isn’t always an option in the basement, because of the moisture in the walls. Vapor barriers 4, or plastic sheeting that helps seal out moisture, are required behind any framing that you put into your basement to help protect the finished walls. Vapor barrier 4 costs around $50 a roll. Framing will shrink the space of your finished basement room slightly, but about 4-6 inches on all sides. Plan this into your calculations for the space, particularly in small rooms. New framing typically costs around $5,300, while the drywall 5 will cost about $200 per room. If you plan on using your basement during the winter months, you will need to invest in insulation as well. Insulating the walls of your basement will keep the rooms warmer, and your utility bills down. Insulating one room of your basement will cost around $1,200 to $1,800. Most basements are poorly lit, having little natural sunlight making their way in. For this reason, you should expect to add recessed lighting 6 or another type of lighting to your basement remodel to evenly illuminate the rooms. New recessed lighting 6 runs around $780. In most cases, your HVAC system should already extend to the basement. If not, however, plan on running additional ducts or vents to ensure the finished rooms are adequately heated. Running new ductwork through your basement will cost around $2,000. Radiant heat is another option for basements, as it can be controlled separately and used only when the basement is. Radiant heat costs around $6,000 - $14,000 depending on the method used. Basements can be finished in nearly countless ways. The costs don’t vary too much from project to project, as the bulk of the costs are within the finishing materials and labor. However, there are some variations based on what you want to do with the space. These costs are only part of the basement remodel, and are directly related to finishing the rooms in the way you intend them to be used. These do not include waterproofing, framing, and other costs. You need to be careful when installing flooring in a basement. Because the area can be damp, some materials cannot be installed there, such as solid hardwood flooring and some types of carpeting. The two most common methods of finishing a basement wall is to frame and drywall 5, like any other room of your home, or to use a basement finishing system, which involves interlocking panels, which go directly over your existing walls. The cost to frame and drywall 5 a basement is around $5,500, while most basement finishing systems have costs starting at $20,000. The benefit of a finishing system, however, is that it’s fast and provides you with easy, instant access to the walls behind the panels whenever needed without needing to cut into the drywall 5 or repair it later. Finishing the ceiling of a basement can be a tricky proposition. In most basements, important pipes, wires, and ducts already crisscross this area, often lowering the total ceiling height. If you were to install a drywall 5 or standard ceiling, you would be encapsulating these items, making them difficult to find and access in the event of an issue. Therefore, most basement ceilings are finished with some type of drop or suspended ceiling, sometimes known as an acoustical ceiling 9 or a grid ceiling. Some basement finishing systems will also install the same types of panels on the ceiling as they do on the walls, for a cost of $20,000 to $30,000. A paneled ceiling or suspended tile ceiling costs around $125-$350, and still gives you access to the pipes and wires above. 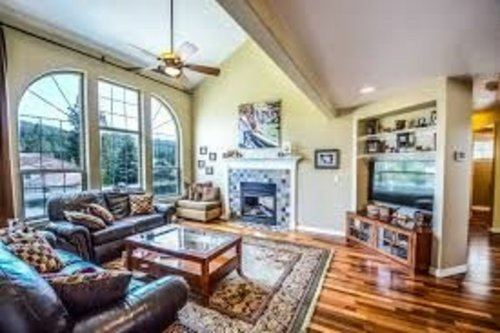 Keep in mind, that in order to cover your ceiling, you may need to lower its total height to below the lowest item in the basement, often ducts or beams. If this will drop your ceiling below 7-feet, you may want to consider simply painting the existing ductwork and ceiling and leaving it bare to pass code. A plumber to install a drain or hook up a bathroom: $45-$65 per hour. An electrician to install new lights or to run network cables: $65-$85 per hour. A carpenter to frame the new walls: $70 per hour. A flooring installer: $5-$10 per sq.ft. Add to this any custom work that you may want to have done to turn the basement into the type of room you have in mind, and the labor could continue to mount. Most people also find that they need a painter ($20-$35 per hour), and in older homes, asbestos 10 testing and removal ($1,500) is also recommended before the work can begin. 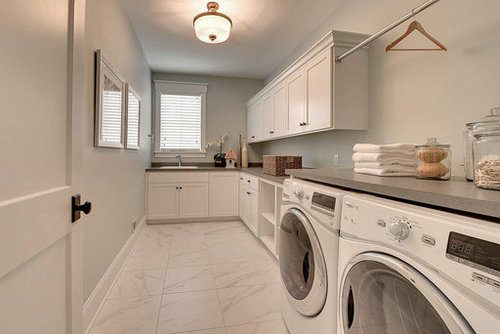 For these reasons, many homeowners often choose to use a basement finishing system, which often has one set price for materials and labor (around $50,000 per basement) and decorate later as they choose. Most finished basements include the addition of a bathroom in their final costs. Bathroom additions typically cost around $125 a square foot. If your basement is not already waterproof, you will want to have this addressed at a cost of around $5,000. Egress windows should be added to any basement bedrooms, as well as family rooms and playrooms to ensure the safety of occupants. An egress window costs around $4,000. Pay close attention to the size of the space, including ceiling height as you plan your remodel. Set a budget early on; if your basement is too large to afford to remodel all at once consider remodeling part and leaving the rest for storage. Basement finishing kits are available that can allow you to finish the basement DIY for around $20,000. If you can, consider finishing the basement piecemeal; while it may take longer, it may help you keep costs down. A rush job may increase costs. 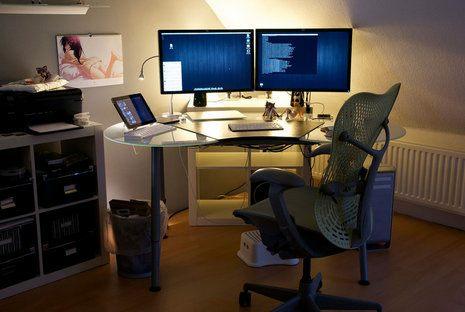 Most people will want to furnish their basement room. The cost of this will depend largely on the purpose you have set up for it. 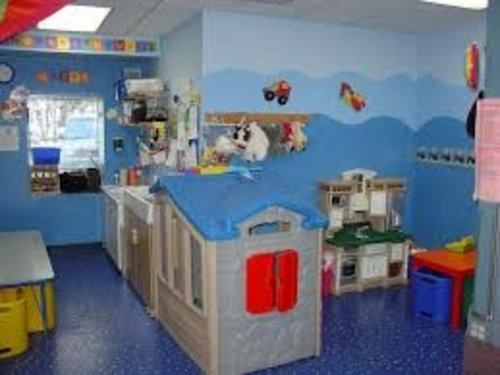 For example, a children’s playroom may require storage bins, while a family room may require new couches and chairs. How much does it cost to finish a 600 sq.ft. basement? The average cost to finish a 600 sq.ft. basement is around $55,000. How can I fix up my basement? The easiest way to fix up a basement is to use a finishing kit to seal in the walls, and refinish the floor. How do you finish a basement floor? 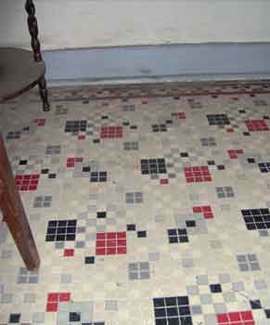 Basement floors can be sealed with concrete sealer, or they can be covered in tile, carpet, or engineered hardwood. The average cost to finish a 1,000 sq.ft. basement is around $92,000. How much does it cost to put up drywall 5 in a basement? The average cost of drywall 5 is around $200, but to first frame the walls is around $5,000. How much does it cost to finish an 800 sq ft basement? 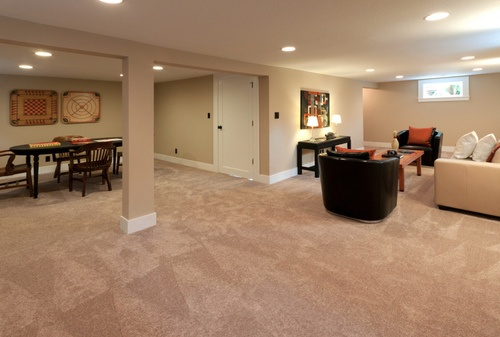 The average cost to finish an 800 sq.ft basement is around $73,600. 6 Recessed lighting: A type of recessed lighting where the light is installed into a hole in the ceiling, giving downward light. 8 Linoleum: An inexpensive flooring material made from linseed oil, resins, recycled wood flour, cork dust, limestone and mineral pigments, on a canvas or jute backing. 10 Asbestos: A group of fire-resistant silicate minerals found in construction materials including paint, particularly in older homes. When the asbestos deteriorates, particles can become airborne and this is a serious health hazard. How much does it cost to remodel a basement in my city? Cost to remodel a basement varies greatly by region (and even by zip code). To get free estimates from local contractors, please indicate yours. The cost guide has been remade adding more information about the project and updating the costs. The sections "Unfinished basement vs. remodel", "Things to bear in mind", "Most popular projects", "Flooring options", "Wall options", "Ceiling options", and "Labor" have been added and now there is more detailed information about the different options, possibilities and price ranges for this project. For example, you can find information about all the things that have to be considered before starting the remodel like future use, lighting, water issues, framing, etc. You can also find new tables with the most popular projects, flooring options, and their cost. Moreover, new options have been added as enhancements like adding a bathroom or egress window and waterproofing the basement, that may not be included in the average project but may interest you. The "Additional considerations" section now offers information about budgeting, basement finishing kits, and furnishing. A "FAQ" section has been added, where you can find any other piece of information that may not be found in other sections. An outdoor buried drain line that leads water away from the house. Water runs through a trench filled with gravel into a perforated pipe underneath, which leads the water downhill to a safe area. 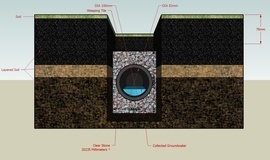 Cost Considerations: The cost of a French drain depends on how deep and how long it is. A shallow, exterior French drain costs about $10 to $15 per linear foot, whereas a deeper, interior drain costs an average of $50 to $60. Cost Considerations: Vapor Barrier Sheathing costs approximately $1 per square foot. A type of recessed lighting where the light is installed into a hole in the ceiling, giving downward light. Cost Considerations: Installing recessed lighting costs about $100 to $200 per light. If there are obstacles in the ceiling such as joists or heating ducts that get in the way of installation, this will add to the cost. 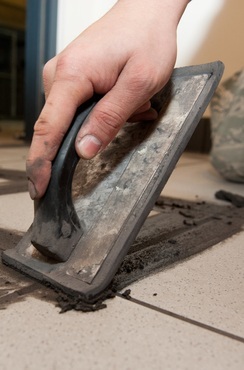 A fluid form of cement used to seal the joints between tiles. It also makes the surface stronger because it bonds the tiles together. Cost Considerations: Smaller tiles will require more grout for the same surface area. It will also take more time to apply the grout. This will add cost for both materials and labor. Grout will cost $75 to $125 for a 30-40 sq. ft. area. An inexpensive flooring material made from linseed oil, resins, recycled wood flour, cork dust, limestone and mineral pigments, on a canvas or jute backing. Cost Considerations: 200 sq. ft. of linoleum cost between $500 and $700. 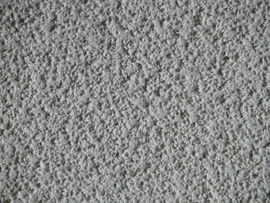 A spray-on or paint-on treatment for the upper interior surface of a room which has a rough curd-like texture and is used to hide imperfections, absorb sound, and reduce echoes. Cost Considerations: If installation of the popcorn ceiling took place before 1978, a small section is tested for asbestos ($50 to $100). The average cost of removing popcorn ceiling from a 10’x10’ area is $100 to $300. Most professionals charge $1 to $3 per square foot (including the cost of materials) depending on the room size, quality/age of the popcorn ceiling, and whether or not there is paint and/or asbestos. A group of fire-resistant silicate minerals found in construction materials including paint, particularly in older homes. When the asbestos deteriorates, particles can become airborne and this is a serious health hazard.